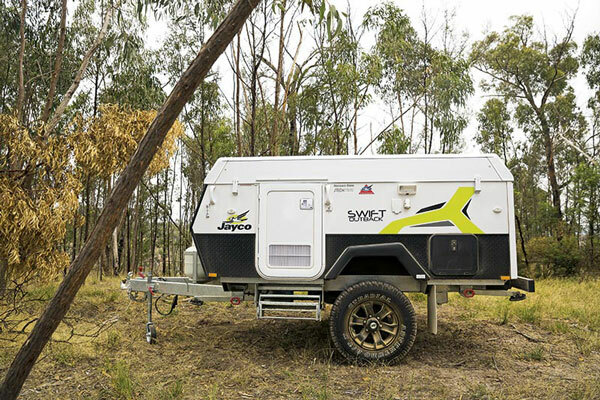 As Aussie buyers weigh up the pros and cons of new or used campers in their search for the perfect one for them, the Swift Outback (OB) from Jayco would have to be on the list for many. 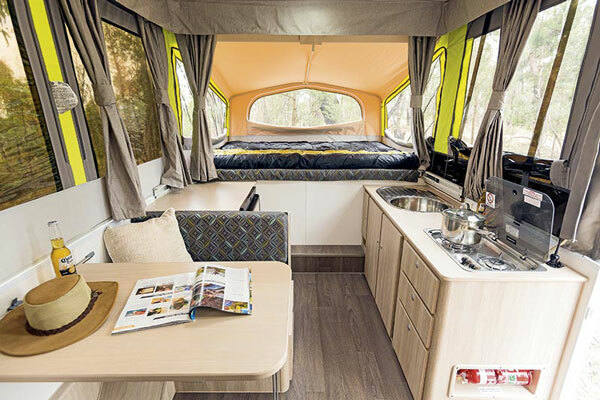 For a retail price of just $21,993, you get a camper with family sleeping facilities, internal cooking facilities, a sink, a fridge, reasonable storage and good stone protection. 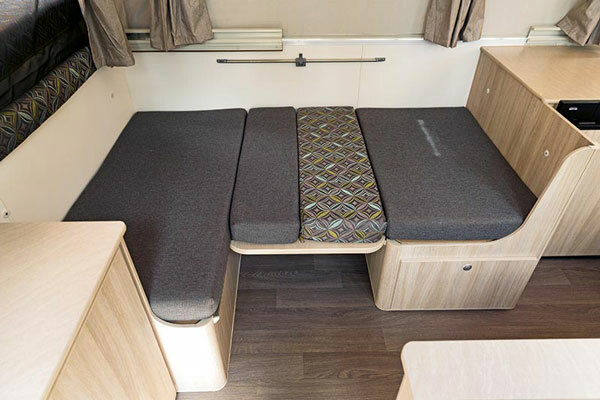 What makes the Swift OB such a great camper is that it has such a small footprint compared with many softfloor and even rear- and forward-folding campers. As long as you can find a piece of fairly level ground just over 4m long, you can set the Swift OB up for the night – or longer – in around five minutes with a little practice. 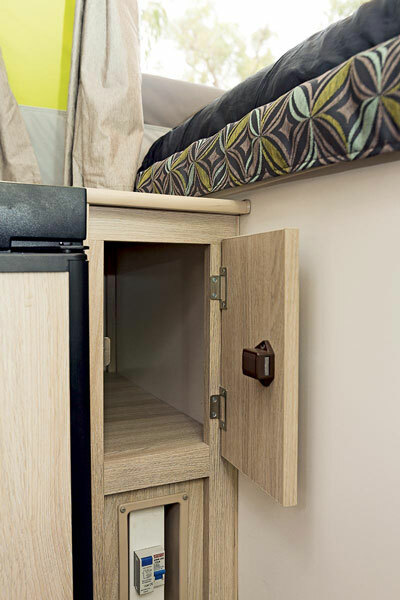 This makes it a great traveller, as overnight stops can be quick and much easier than with a much more space-dependent fold-out camper. 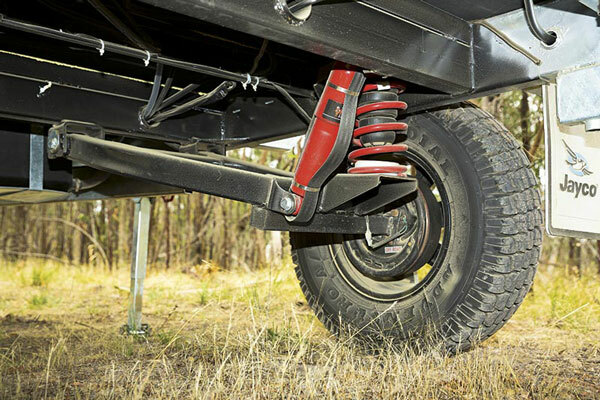 And with the Swift OB you’re also off the ground, so mud, rain and creatures with four or more legs aren’t a problem. 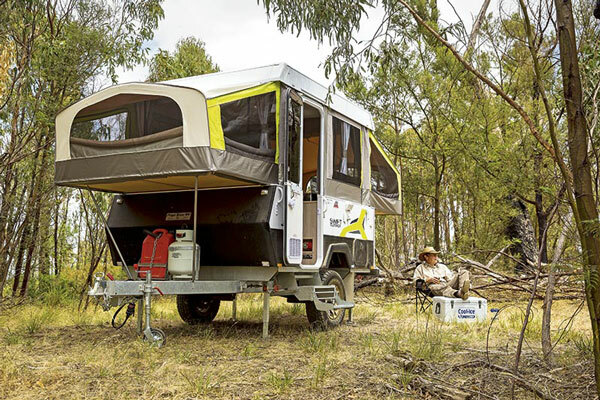 Erecting and packing up remains the breeze it was all those years ago on the first Jayco camper trailers, albeit with a few refinements. Unclip the fibreglass lid, insert the winder crank in the slot in the nearside rear and wind. 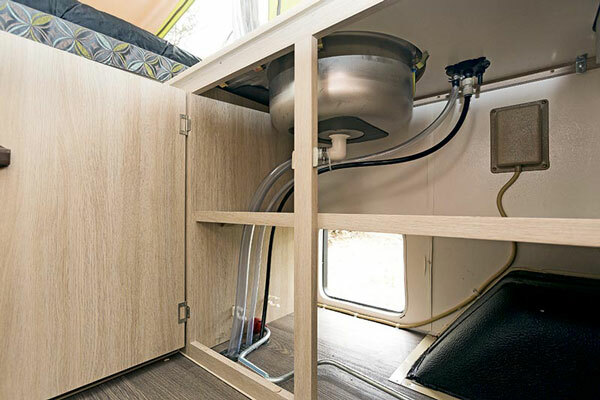 When the retaining cord goes taut – not before, or you may snag the windows or canvas – pull out both beds and support them with their simple but effective hollow steel stays. Your heads or shoulder under the bed may be required here! Then step inside and use the old style ‘hockey-sticks’ to push out the hoop that supports the canvas over the beds. 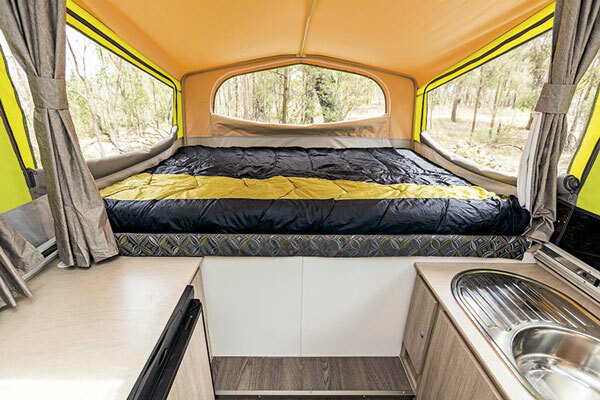 If it’s cold, or the camper has been stored for a while, you may need a little help, or a push in the back, to stretch the canvas sufficiently; if it’s hot, you should be fine. 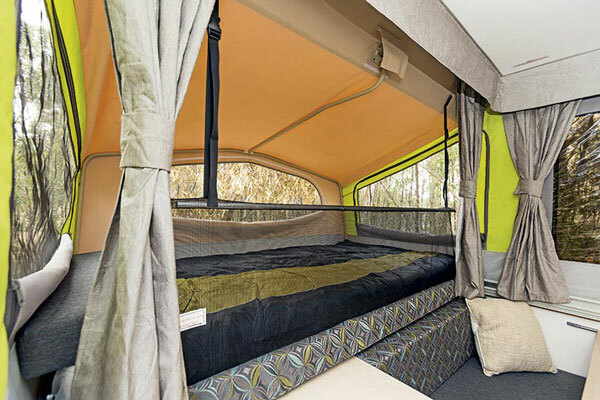 Hook and loop the tent canvas under the bed ends, then drop the upper half of the door from its roof mount; secure it to the hinged door base with a couple of over-centre clamps and hook and loop the tent sides to the door frame and you’re done! 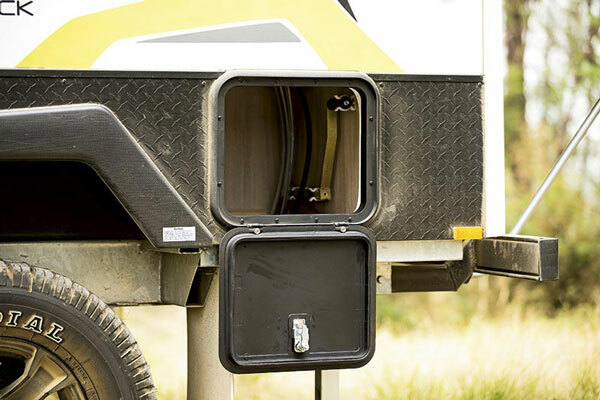 Outside, a rear hatch on the door side can be used to store hoses and the like which is handy, as you can’t option an external boot on the Swift. 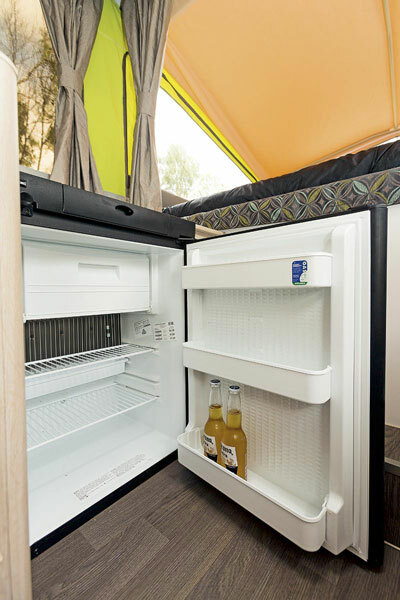 The Swift OB doesn’t have a hot water system or outside shower option like Jayco’s larger camper trailers, but there are many proprietary systems on the market that can do the job. 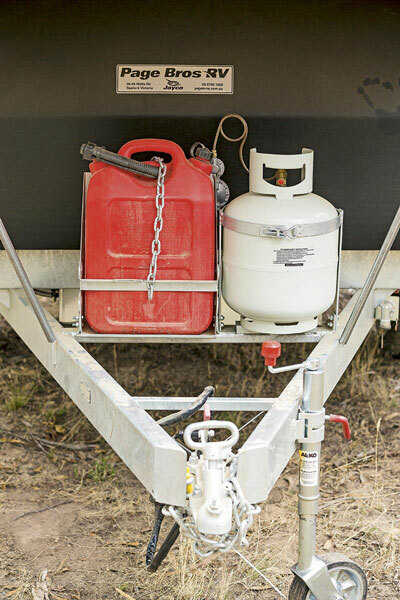 The standard 75L water tank allows for it, but if you are planning longer stays away from plumbed water sources, you’ll need a pump to draw it from a creek or else carry extra in jerry cans or plastic containers, as there’s no room for an additional water tank under the Swift OB floor. 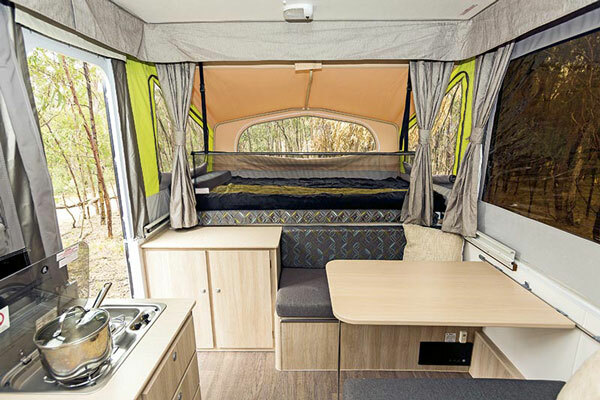 Ditto for a rollout awning, but it does have an in-built annexe track for the bag awning that’s available as an option if you’d like more comfort and protection for longer stays at camp. 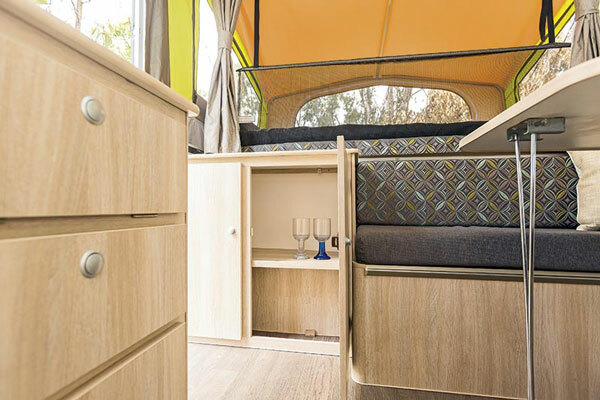 This charm of the compact Swift OB is its ability to slip into places that few others dare. So is it capable in the outback? Based on my experience, I say yes, but you need to approach it with the right mindset. 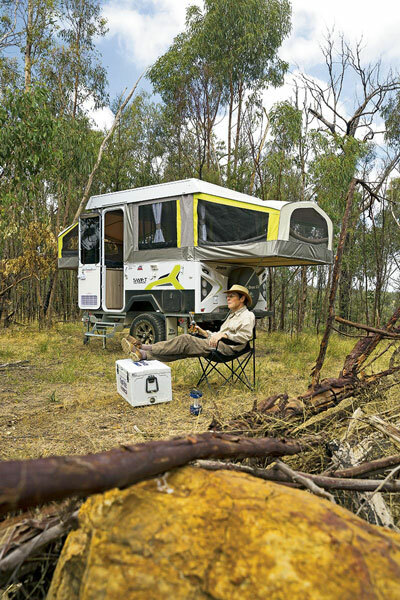 If you enjoy your comforts, you’ll need to rely upon your 4WD for extra storage and employ other means to heat your shower. 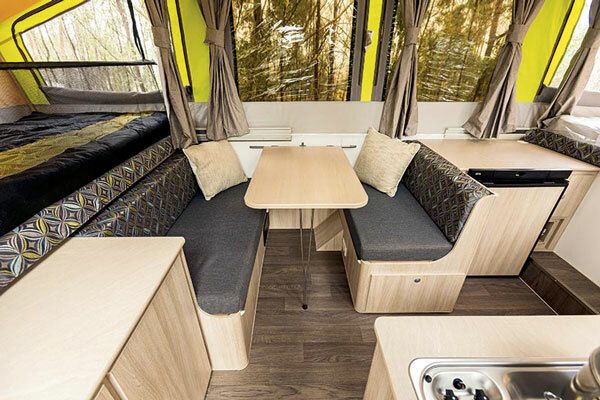 And if it was my Swift OB, I’d option up the 16in wheels and the 120W roof-mounted solar panel to really see this camper shine.